Valve have released Danger Zone, a Battle Royale mode for Counter-Strike: Global Offensive along with it going free to play. All existing players have been upgraded to "Prime Status", which is a special status for verified players and only matches you against other Prime players. To become Prime after this update, you need to either purchase Prime from the Steam page or "reach Rank 21 by earning XP and add an eligible phone number to your Steam account" according to Valve. Considering how I’m quite a big fan (understatement) of Battle Royale type game modes, I’m really pleased Valve has done this. I think it’s important for Linux gamers especially, since BR isn’t something we have much choice on. There’s no Fortnite, no PUBG and any other game with such a mode is very niche. A platform missing one of the most popular things in gaming, isn’t a very attractive platform. So even if it’s not your cup, understanding that I think is important. So again, I’m extremely happy about this. Danger Zone can be played solo, or in squads of two or three players. On top of that, it's mixing things up a little. As expected from Valve, they're tweaking it with their own special flavour. 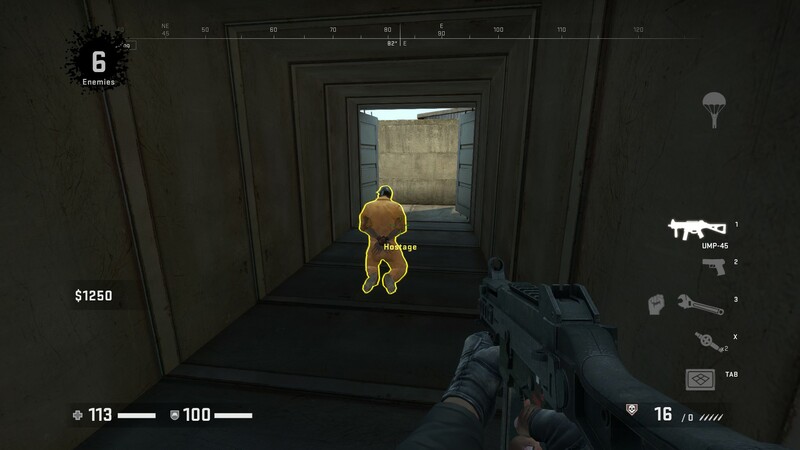 The main hook, as with all Battle Royale games is that you only get that one precious life. You also don't start with anything, so you need to be extra careful. 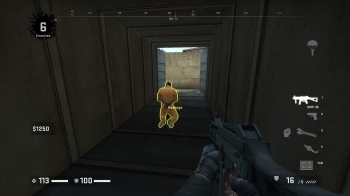 You need to hunt for equipment and avoid players until you're ready—or catch someone with their pants down whose hunting for equipment themselves. Over time the map area gets smaller and so you're forced together. The effect Valve has gone for this is different too, with missiles firing from some off-shore rig onto the map. From that, something spreads across sucking all colour and life away from the map and it does look cool. The drone system is quite a highlight, not just for yourself either. You can shoot them down, starving your enemy of their goods or follow them to ambush an enemy. Additionally, you don't actually have to use the dropped items yourself. Is an ally running low? Order something for them. You can also upgrade your tablet a few times, with niceties like seeing where the safe area will be when the map shrinks again, seeing drone paths and so on. 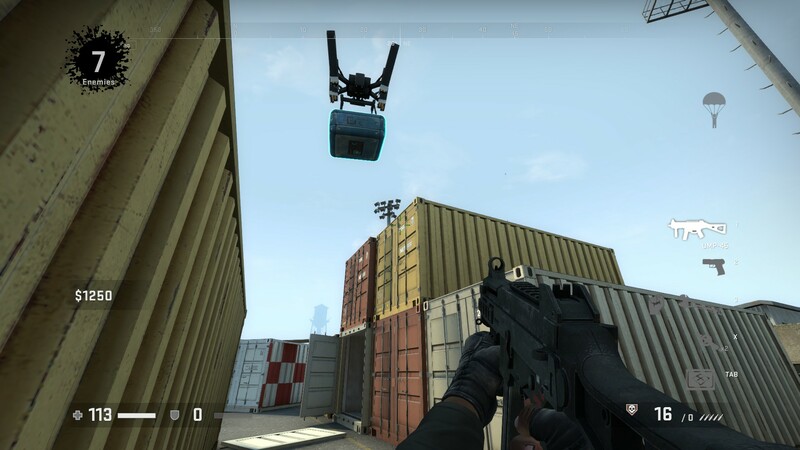 On top of all that, for those of you who like collecting in-game items, Valve will be giving away a "Souvenir MP5-SD | Lab Rats" to anyone with Prime status while earning 250XP in the Danger Zone game mode. That offer will run until January 9th, 2019 which is probably enough to give the game a little player boost. People do love their skins. This is what I have been waiting for. 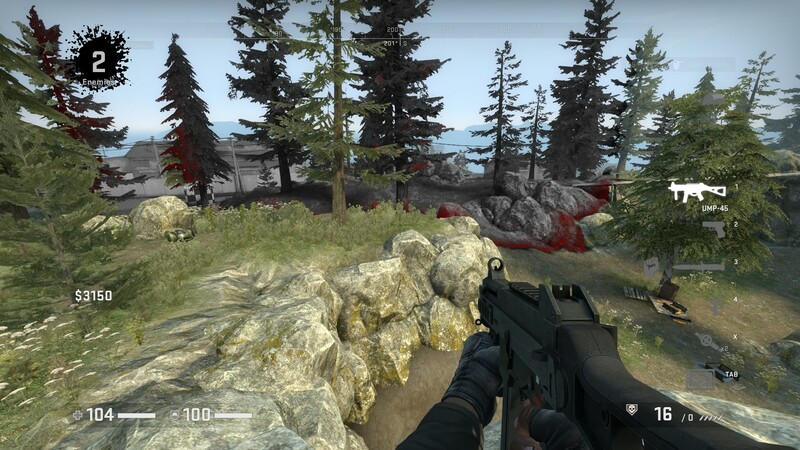 An interesting Battle Royale game available on Linux with good support and since it's Valve it will no doubt work well on Linux. Not only that, it's likely going to actually be an active game, especially since it's free. I'm sure plenty of the existing CS:GO community won't be happy, but you never can please everyone. It's not like anyone's forced into it, the mode is separate to the rest of the game. After playing a good few rounds—I like it. 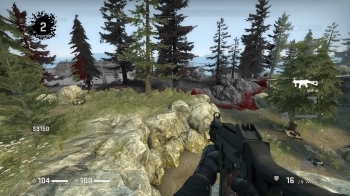 It's quite different to what's already out there, although CS:GO is showing its age a little. Even so, the mechanics seem to work quite well for it. I'm excited to see where they go with this, as they said they will continue to update it based on feedback. See more on Steam and the official site for details. For info on the free to play status, see here. I will have more on this in the coming week, frankly I'm too excited to keep typing. First time I play and winner winner chicken dinner! It's weird that there are only 16 players in such a big map. Also, I detected some fps drop in some areas (playing with max settings). Anyway, I think it will be more fun with friends... maybe it's time for a Tuxedo Team? 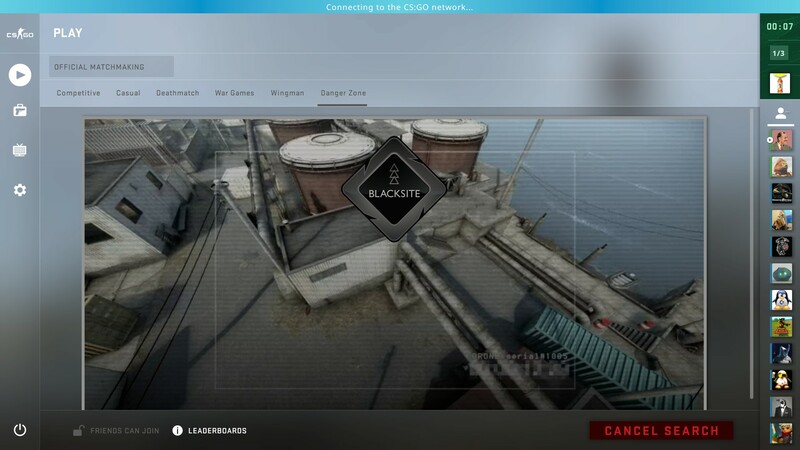 I will definitely reinstall CS to try this out! I haven't played a real BR game since wiping my Windows drive a few months ago. I'm excited. Might actually get me to play CS:GO again. Also, only an 800MB update? Idk why, but I was expecting at least a couple Gigs. Valve: "Screw you too, Epic!" 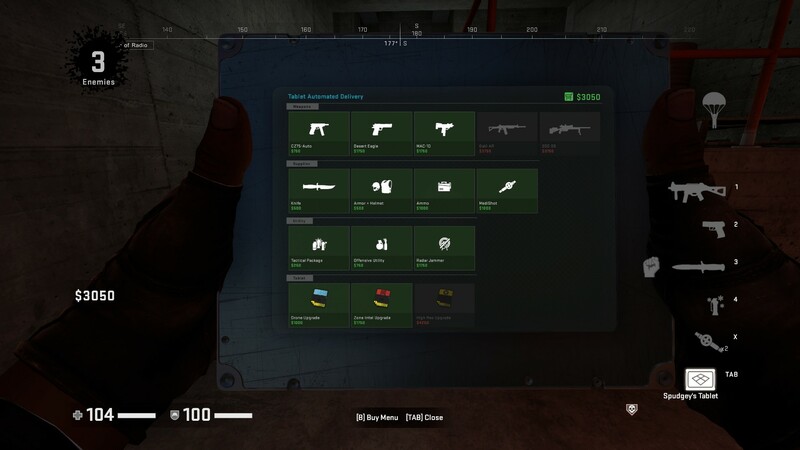 I have been eyeing off CS:GO for a while now, and never got around to buying it. Perhaps I will give it a go now. On another note: there's some negative review bombing on Steam for this game at the moment. Apparently giving "Prime" to all those who bought it before it went free-to-play means that it's now difficult to find a game without cheaters. Previously it was easy to ban Prime players who cheated because it was linked to a mobile phone number, but no longer. Kohrias You are really plaing an fps game with a gamepad on PC? Why would you handicap yourself that much? No, I am not. I don't consider the steam controller a mousepad. More like two mouses with a small keyboard and a gyroscope for fine aiming. Which gives more control than mouse and keyboard and it's also faster. All of this well disguised under a gamepad-like shape. You mean you haven't seem the youtube videos demonstrating this aspect of the steam controller? Ah, it's great for strategy games too. 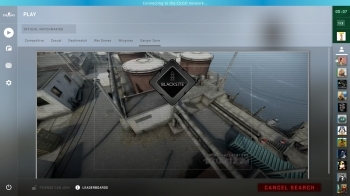 When I got the Steam Link with the Steam Controller I tried it for about, 5 to 15 minutes with CS:GO way back when. It was a terrible and uncomfortable experience. Even worse then the standard controller for the X and the PS4. I am sure I probably needed to give it more time to learn the controller but thought it wasn't worth the hassle. Strategy games need a mouse and keyboard for me personally and shooters can work with a normal controller, but mouse and keyboard is still my preferred method. Guess I do should look at the people using the Steam Controller like a pro. Can be interesting to see. It also crashed at the black screen for me, with a segfault. Same thing with -nojoy. Hopefully I can get it working at some point during the weekend.